My name is Flavio Deslandes. I am a Brazilian Industrial Designer based in Denmark. 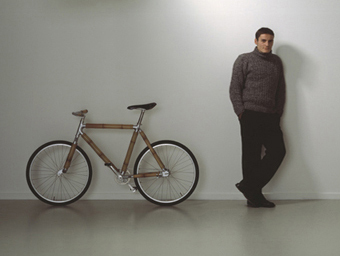 My area of expertise is design with bamboo, in particular the bamboo bicycle. My goal is to present a new breed of bicycles, stunning in design yet environmental in mind. The processes used to build the bikes are as sustainable as possible by introducing new technologies. All to bring back natural materials into our everyday life.